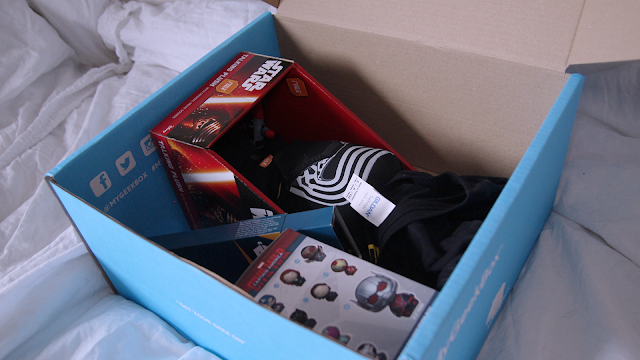 When I came back from holiday I was so excited to see My Geek Box just sitting there on the sofa! 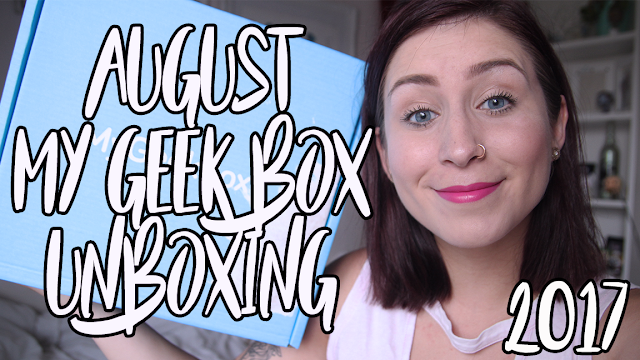 It was looking much bigger than July's box and the mystery box! Looking at that photo - I'm sure you can see exactly what caught my eye straight away. 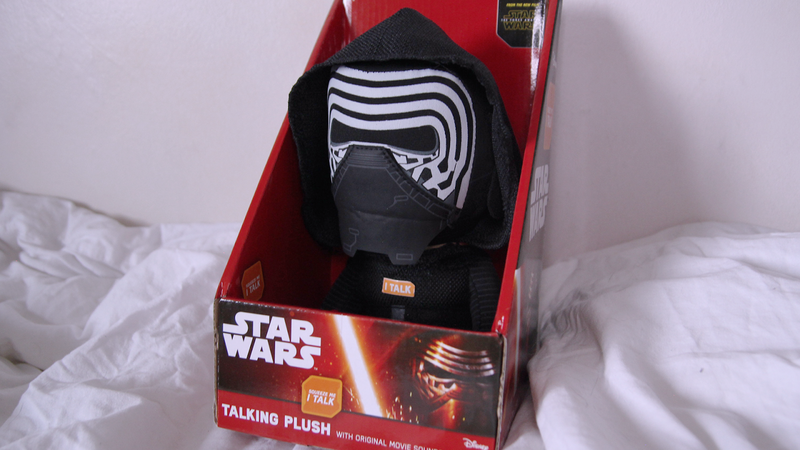 It's a super cute Star Wars; The Force Awakens Kylo Ren Plushie that TALKS when you press it! HOW ADORABLE! Now, I'm not the most intense Star Wars fan like my boyfriend is, but I do like Star Wars and I did really enjoy The Force Awakens when I saw it at the cinema. I only started watching the films for the first time in 2016! I know, it's terrible, but I do like it! The card in the box said it was either Kylo Ren or Rocket Raccoon that could have arrived - I think I might have preferred Rocket! But I'm sill pretty happy with Kylo Ren. 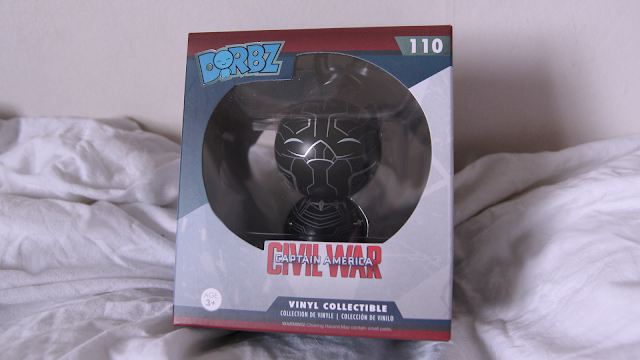 The next thing in the box is this equally adorable Captain America; Civil War Black Panther DORBZ. I don't know why My Geek Box is so cute this month but I'm loving it. I love the Captain America films, I'm a huge Marvel fan. While I might have preferred a different character, I'm still pleased with it! 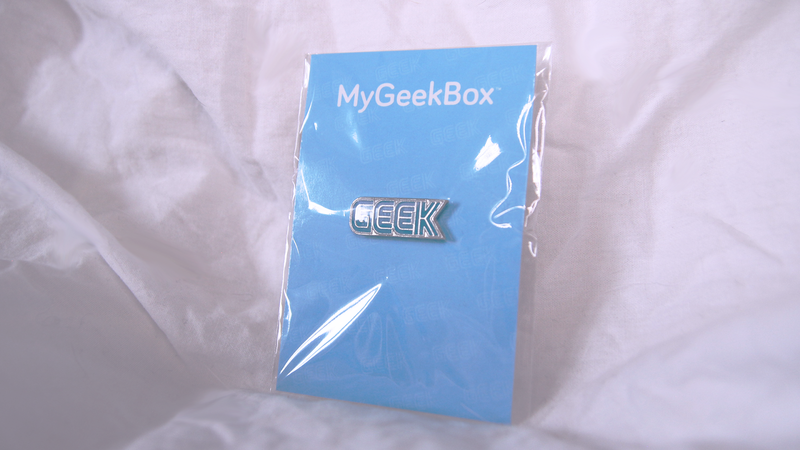 Next was this tiny "Geek" Pin, in the Sega font. If you remember in last months post, there was a T-Shirt with the exact same writing and font, which is nice to have that little link follow through. I'm actually not a pin collector like some are; but I've already put this pin on the cover of my new diary for college! 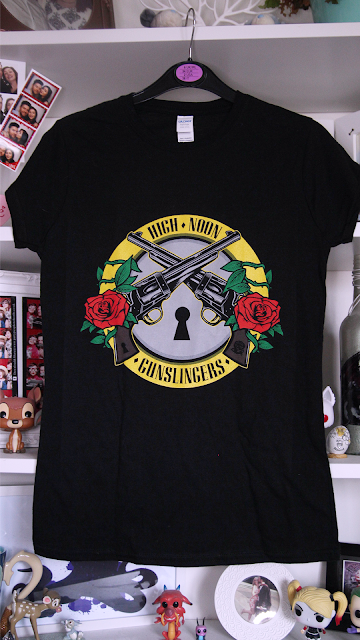 The next item is probably my favourite in the whole box. 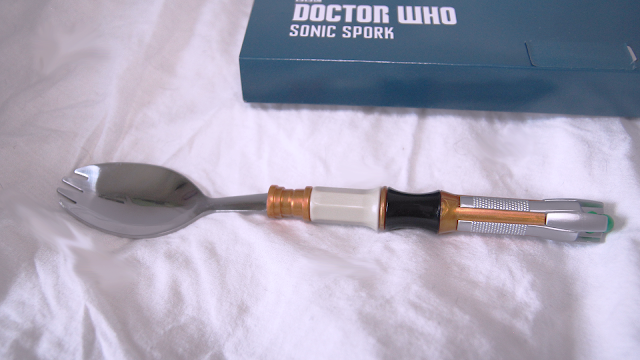 I'm a huge fan and when I saw this Doctor Who Sonic Spork, I may have freaked out a little. I love quirky things like this and it's also the 11th Doctors screwdriver - which is Matt Smith if you didn't know. This is highly controversial, don't hate me, but he is my favourite Doctor! Sorry to all you Tennant fans out there... though I obviously loved him too! 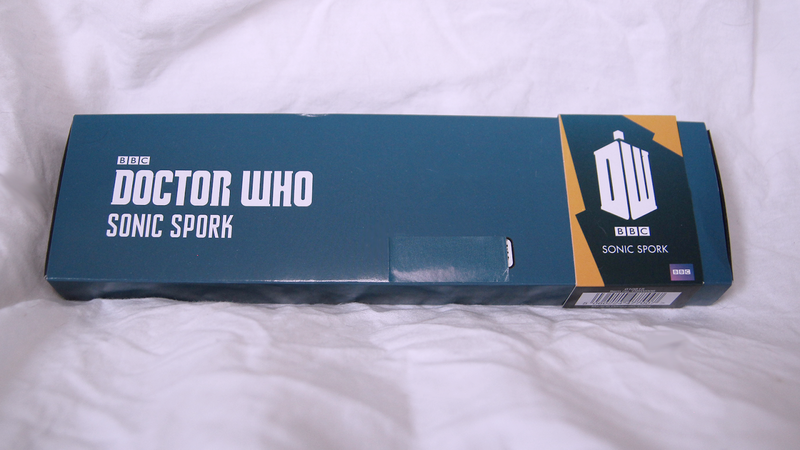 I've already used this spork to eat some pudding, and will very likely use it every day from here on out. The box under that blue patch you can see in the photo said "LootCrate Exclusive", so sorry LootCrate buyers... it isn't exclusive. Awkward. The last thing in the box was this cute High Noon Gunslingers T-Shirt, which I have to say instantly made me think of Mcree from Overwatch or the Saint Killer from Preacher. Turns out, on the card, it's linked to a new film and a band. I didn't understand at first but Eric kindly told me it's that new "The Dark Tower" film with Idris Elba in it, and the band is probably Guns N' Roses - DUH! I should have known! That's everything that was in my box, and I'm super happy with the contents for the price of it! Now the card did say there was supposed to be a car air freshener as well - tut tut My Geek Box. I'm not sure if it's worth contacting them over an air freshener when I'm already quite happy with the box, so I might just leave it. But I have to say they already sent my box out late, dispatching it on the 30th August, and now there's a missing item. Doesn't look too good on them. Hopefully there will be ZERO issues next month and I will be happy as Larry.